Children who learn guitar in school with 'The Rock & Pop Academy' performed for parents this morning, celebrating their talent for music. 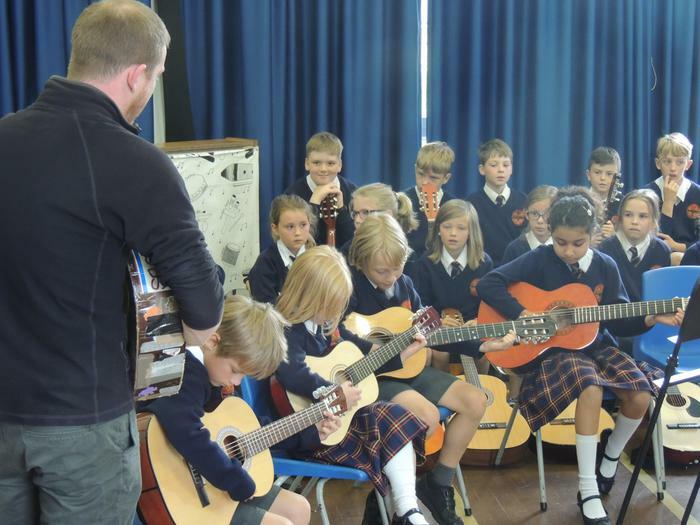 We are delighted that so many children learn an instrument with a growing demand for guitar. Given this enthusiasm we are intending to set up a new guitar club next year to nurture the children's ability to play together and perform.